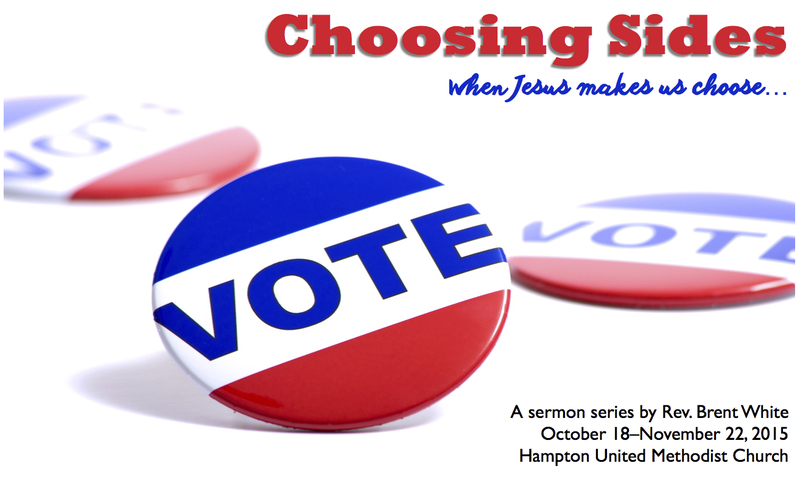 The following is the third and final stewardship sermon of Hampton UMC’s 2015 stewardship campaign. In it, I find a few characteristics of the “shrewd manager” that we disciples of Jesus can emulate: his generosity, his resourcefulness with money, and the urgency with which he acts. Unlike him, our salvation and our future is secure. But what about those who haven’t yet received God’s gift of saving grace? People that we know are facing the crisis of their sins separating them from a holy God. God is calling us to help save them using, in part, the money he has given us. Given this urgent task, how can we not be generous? I’ve always worked well with deadline pressure. When I was in college I was an editor for my college newspaper. It came out every Friday. Which meant that I had a weekly deadline every Wednesday night to get my section done. At least that was the official deadline. The truth is, the drop-dead, “it’s got to be done by this time or else” deadline was Thursday morning at 7:00. So you would find me, many late and lonely Wednesday nights at the newspaper, burning the midnight oil to get my section done by the deadline. And when I was an engineer I had deadlines for the projects I worked—which meant burning the midnight oil to meet deadlines. When I was a student at Emory, I had lots of deadlines for all the papers I had to turn in—which also meant burning the midnight oil to meet deadlines. And of course now, as a pastor, I have a weekly deadline. Deadlines… That’s a funny word when you think about it. It suggests that once you cross this line, you will die. Speaking of death, there’s a new watch from Sweden called the Tikker, which purports to keep track of our ultimate deadline. Seriously. This watch not only tells time, like all watches do, but it also tells you how much time you have to live. Of course it can only guess—based on information it gathers from a survey about your life, your health, your family history, your habits. So, for example, one question on the survey asks, “How many times a week do you go to Speedway Doughnuts?” “How often do you order the bacon and maple doughnut when you go to Speedway?” So these habits will deduct from the time you have left. Hmm. There might be something to that! In the parable that Jesus tells today, the so-called “dishonest manager”—sometimes called the “shrewd manager” or the “shrewd steward,” depending on which character trait you want to emphasize—realizes that he’s facing a deadline. Time is running out for him. And he needs to start making “better choices” soon, or he’ll soon be on the street, out of work, homeless, penniless. This manager was like an accountant or CFO who was hired by the wealthy man—an absentee landlord—to keep his books and run the man’s estate—which meant managing his property, his tenants, his money. This manager made all the financial decisions, and he apparently made some foolish or dishonest ones. His master finds out and tells him he’s going to fire him—but first he has to bring in the books or ledgers or whatever paperwork he needs to show his master how he’s managed his accounts. So the manager has a little bit of time: maybe two weeks’ notice—to tie up loose ends and get the books in order. He asks himself, “What am I going to do? I’m not strong enough to dig, and I’m too proud to beg.” So he hatches a plan. While he still has possession of the books, he goes to his boss’s tenants and starts forgiving or reducing the debts that they owe his boss. In one case he slashes a debt in half. In another, he reduces the debt by 20 percent. Either way, it’s a lot of money. Whether it’s jugs of olive oil or bushels of wheat, it’s as if the steward wrote each tenant a check for tens or hundreds of thousands of dollars! Don’t you imagine that these tenants would be eternally grateful to have this manager come and reduce their debts like this? I would be! Maybe some of you are thinking, “If only Bank of America or American Express would do that with my credit card bills?” Or, in my case, “If only the bank would do that with my student loan balances!” And in return for their gratitude, the manager would be able to “call in a favor” when he finds himself without a home, without a job, and without any prospects. And these grateful tenants would be happy to let the man live with them. That’s what he’s counting on. And apparently, his master finds out what he’s done. And is he angry? Does he threaten to throw him jail? Beat him up? Kill him? Nope. The punchline to this story is found in verse 8: “The master commended the dishonest manager for his shrewdness.” It’s not that the rich man liked being defrauded by his manager, but he couldn’t help but admire his employee’s ingenuity. Likewise, Jesus isn’t holding this man up as a great moral example for us to follow. Not at all! But Jesus is saying that there are some things we disciples can learn from this manager’s behaiovr and apply to our lives. First, we can admire the shrewd manager’s generosity when it came to forgiving all these loans that these tenants had to pay back. Now, I know what some of you are thinking: That’s not generosity! Because why? Because it wasn’t the manager’s money to begin with! The money didn’t belong to him. It belonged to his master! It was his master’s money! To which I say, “Yes, that’s right! It wasn’t his money; it belong to his master”—which illustrates the first and most important principle of financial stewardship for us disciples of Jesus Christ: The money that we have doesn’t belong to us. Your money isn’t yours. Listen: I’m sympathetic if this idea bothers you. Because you’re an American, after all—most of you. And we Americans been taught all our lives that we need to be “self-made” people; that we need to pull ourselves up by our own bootstraps; that we need to earn everything! None of us likes to say that we had any advantages that someone else didn’t have. And if you don’t believe me, listen to the way the presidential candidates talk about their life stories. It’s as if they’re competing with one another to prove which one came from a less advantaged background. To prove that nobody handed them anything; that they earned everything; that they had to overcome great obstacles in order to be successful. And I’m sure they did work hard, but… how? How were they able to work hard? What did they use to work hard, and are they responsible for that? In one sermon, pastor Tim Keller said that if you think you’re a self-made person, ask yourself how successful you’d be if you were born on top of a Tibetan mountain in the 13th century! He’s given us the gift of our talents and skills, which enable us to do meaningful work and create beautiful things. Yes, we must do something, but what we do is infinitesimally small compared to what God has done for us! The point is, our Father gives and gives and gives. And he asks us, in return, to also give. To give a tithe of the money he gives us. That means to give ten percent of your income. That’s the biblical standard of giving. Is that a law for us Christians? No, we’re no longer under the law. But that doesn’t mean the law is bad: it just means that we now follow it for a different reason—out of gratitude, not compulsion. Besides, the evidence from the New Testament is only that the tithe may not be enough for many of us! Remember the widow’s mite. Her two copper coins were all she had. Remember the Rich Young Ruler? Jesus asked him to give everything he had. Remember Zacchaeus? He gave half of his money and possessions. Remember Acts chapter 4? Luke tells us that in the early church, “There was not a needy person among them, for as many as were owners of lands or houses sold them and brought the proceeds of what was sold and laid it at the apostles’ feet, and it was distributed to each as any had need.” I’m not saying that we’re supposed to do the exact same thing; only that there are many examples of New Testament Christians who are extraordinarily generous with their money, in ways that far exceed ten percent! In the book of Malachi, God told the people of Israel that their failure to give a tithe was “robbing” God. And for those of you who think, “Oh! I can’t give ten percent,” listen to what God tells Israel, again in Malachi: “Bring the full tithe into the storehouse… And thereby put me to the test, says the Lord of hosts, if I will not open the windows of heaven for you and pour down for you a blessing until there is no more need.” When we look at the 2015 Hampton United Methodist Church budget, we consider how even this year we are in need! We need to pay our bills, to pay our staff, to pay our apportionments… And it’s in no way guaranteed right now, as I discussed in my E-News article. Yet, brothers and sisters, I know for sure that if the people of our church would do what Malachi says, which is bring the full tithe into the storehouse and put the Lord to the test, he would open the windows of heaven for us and pour down a blessing for us until there is no more need! And you say, “Oh, I can’t tithe!” Really? Put him to the test and see if you can’t! We’re like Peter standing on the side of that boat on the Sea of Galilee, and Jesus is beckoning us to walk to him. “If I take that first step onto the water and walk out to him, will I sink and drown?” Peter couldn’t know for sure he wouldn’t sink and drown until he took that first step! Citing Matthew 6:33, Piper goes on to encourage us to “seek the kingdom first” by writing the ministry check first. I encourage you to do that as well. We’re nearly at the end of our sermon time, and I’ve only shared one point from this parable. Let me share one more. Remember: The shrewd manager isn’t a good Christian. He’s very self-centered; he’s acting in self-interest rather than Christ-like love. But… to his great credit, Jesus says, when he faces this crisis, he uses all the resources at his disposal to do everything everything he possibly can to save himself and secure his own future. So one of the things that he does, surprisingly, is show great love to his master’s debtors—yes, he does it out of self-interest—but it is a loving action to forgive their debts the way he did. What about us? In a lot of ways, we’re not like him. For example, if you’re a Christian, your future has already been secured through the life, death, and resurrection of Jesus Christ. You don’t need to worry about your future. Because when you faced the biggest crisis that any of us can face—the crisis of our sins separating you from a holy God, the crisis of owing a debt to God that you were unable to pay—when you faced that crisis, you repented of you sins and accepted the gift of forgiveness, saving grace, and peace that Jesus Christ offered you through faith. 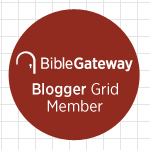 See, Jesus was at least a little like the shrewd steward: It’s as if he came to your home and said, “How much do you owe your Master?” And you responded, “More than I can ever possibly pay, Lord.” And he said, “Take your bill, and tear it up. I’ll pay it for you.” And he went to the home of every single person who ever lived and did the same thing. And he paid it the only way he possibly could: by sacrificing his life on the cross. For those of us who’ve placed our faith in Jesus, that means he became sin who knew no sin so that in him we might become the righteousness of God; that means we now have peace with God; that means there is now no condemnation for those of us who are in Christ. But brothers and sisters, let me ask you this: What about everyone else? What about everyone else who is facing that same crisis that we once faced: the crisis of their sins separating them from God for all eternity. Surely none of us would say, “Now that we’re saved the rest of the world can go to hell.” God forbid! Yet if we’re not generous with our money—if we’re not literally putting our money where our mouth is, putting it to use for God’s kingdom—it’s almost as that’s what we’re saying through our actions! We’re saying that this new car or this new wardrobe or this new smartphone or this new television or this new electronic toy or this new piece of jewelry is more important than the opportunity to save someone’s soul! Here’s a rule of thumb: If you’re not yet giving to God to the point at which your giving is a real sacrifice—I mean, you feel it, it might even hurt a little bit—chances are you’re not giving enough! In verse 9, Jesus says, “use worldly wealth to make friends for yourselves so that when it’s gone, you will be welcomed into the eternal homes.” I admit that’s a very strange statement. But what Jesus is saying in so many words is, “Do everything you can with the money God gives you to bring people into a saving relationship with him through his Son Jesus.” Because there are so many others we know, even within a five-mile radius of this church, who face that crisis, who need their sins forgiven, who need the gift of eternal life, who are bound for hell, unless or until they accept Christ as their Savior and Lord. And God has given us here at Hampton United Methodist Church a sacred and great responsibility to save them! And I wish we all had on our wrist a watch that reminded us each day that our time is running out, that our day is coming, sooner or later, when we will be asked, like this steward, to give an account to God. So let’s all imitate the shrewd steward and act with urgency while we still have time. Amen. This entry was posted on	November 9, 2015 at 7:33 pm	and is filed under Uncategorized. Brent, I am happy to say that I tithe. Instilled by my pastor/ missionary father (now retired for some years). However, I do note that there was a “dry spell” where I did not for a year or so. Reason being, income got so low that I had to borrow money to get by, and I felt like I shouldn’t use my money for tithing until I paid back the loans. I don’t know if that was right or not. (Cf. : If your brother has aught against you, first go and be reconciled to your brother, and then come and offer your gift. Also, since part of it I borrowed from my Dad, I did not want to say, “Corban” (sp?).) But I guess my point is, I don’t know that we can always “put God to a test” with respect to tithing–Malachi may have been speaking more generally of the “congregation as a whole” or “nation as a whole” than a particular guarantee to each and every individual that they will have “enough to get by” if we tithe as individuals. In all events, though, I agree that by all means we should endeavor to tithe if we possibly can, and start off with that before other monies (at least until and unless we see that those monies cannot sustain “the basics” for “a spell”). Just thought I should share that specific example from my own life in this instance, for whatever merit it may or may not have. Given that most churches, including my own, are about as faithful in tithing as Malachi’s audience, they need to hear his challenge, too. I believe as a church community we’re missing out on a great blessing from God. And the kingdom work that we want to do is being hampered because relatively few are even giving a tithe. Still, in my sermon I said “most people” can afford to tithe. I strongly believe that, even if Malachi’s words are only true in general. I have a different understanding of this parable. When Jesus spoke the parable, he had two audiences. One was the disciples. The other was the Pharisees. I think that he was mainly condemning the Pharisees. The manager was like the Pharisees, who were to be stewards of God’s treasure. The Pharisees were poor managers, taking advantage of the people, and using what they exacted – the tithes- for their own benefit. Perhaps the manager was overcharging the tenants for the use of the master’s land and resources in a similar fashion. He was keeping the excess for himself. When he was caught, he still had the authority to make things right, he quickly went to the debtors and reduced their obligations in order to secure immediate payment. From the debtors point of view, the manager was doing them a great service and they would now be in his debt, to some extent. From the Master’s point of view, he was being compensated for the use of that which was his, and his tenants were now happy, rather than grumbling. The shrewd manager had turned from his larceny and found a fair resolution that put him in a position to live at peace with, and in comfort with the people, and to escape further wrath from his master. The Pharisees loved the money and power they had, and would not move to correct the mismanagement of that with which God had entrusted them. Therefore, they would not be trusted with riches in heaven either. We are the same. God gives us talents to manage in this life. He has no problem with us using those talents to better ourselves, but he does have a problem if we do so at the expense of others. He is especially displeased if we purport to do this “in His name”. PS: I related to the the manager humorously when he said, “I am too old to dig, and too proud to beg. What must I do?” He turned the lemons into lemonade, in the opinion of Jesus. I experienced some major financial setbacks late in my life. I wish I had been as clever as the shrewd manager…. I’ve read this interpretation before, Grant. If he were overcharging and keeping the excess for himself, yet nevertheless giving the master what was his, in what sense was he “squandering” his master’s estate? In some sense stealing from his master? That’s the offense for which the master is going to fire him. As long as the master was being paid, it’s not clear that the charge of “wasting” or “squandering” fits. Regardless, I think the application can be the same. It would all depend on what the Master’s intentions were, wouldn’t it? It doesn’t say in the parable. If the Master was a good Master, then he might expect the what was done, would be done ethically and to the benefit of all. After all, it reflects on him. I have heard it claimed that each parable is intended by Jesus to have one meaning. I don’t buy that. So, it’s good to try and see all that we can in the teaching, as long as it is consistent with Jesus. Oh sure. I’ve heard that one-point-per-parable rule repeated many times. I don’t buy it either.